One walk through the greenhouse at Gateway Garden Center and you’ll be glad you came by! We have a fantastic selection of annuals and perennials that help each season come alive with color and interest. As the seasons change so does our palette, from cool weather flowers such as pansies and violas, to the masses of color you get from a full mix of flowering summer annuals, we rotate our stock to provide the best, most attractive plants, that put finishing touches on any landscape project. As Garden Centers go, you won’t find a better selection of the plants and materials you need to beautify your yard and property. 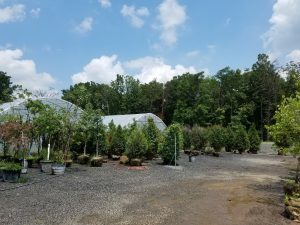 Of course we have the trees and shrubs you would expect a garden center to have, but we have much more than that. We have a full selection of mulches, soils, composts and soil amendments available in bulk or convenient bags. Once your yard plantings and lawn has been all taken care of, we carry a huge selection of stone, stone aggregates, pavers, and any hardscaping material you can think of. Taken together, our selection makes us the number one garden center in Gainesville, Warrenton and Nokesville. One of the stories we hear all the time from our clients is that they tried other garden centers or suppliers, including big box stores, and were disappointed with quality. The problem exists largely because the right personnel don’t care for the plants. At Gateway, our staff members are well trained and work full time on caring for the trees, shrubs and grasses. 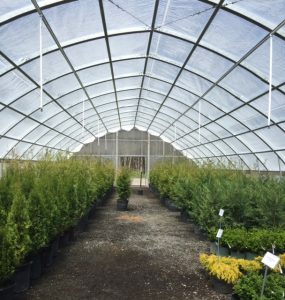 Our level of expertise, along with our greenhouse facility, makes our products very high quality. You can be comfortable knowing you’re buying a thriving plant that will make your landscaping as beautiful as it can. As we mentioned above, our team members are second to none. 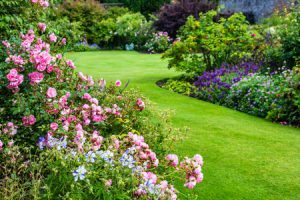 With a focus on customer care and deep knowledge of landscaping, landscape architecture and the plants and trees we carry, you’ll be very happy with the selection, quality and also the help you get planning your landscaping project. Since our location is right on Route 29 across from Vint Hill Road, and because we have the best selection, quality and service you’ll find, there is no reason to go anywhere else for your landscaping needs. Visit Gateway Home & Garden Center today and start that project you’ve been putting off!